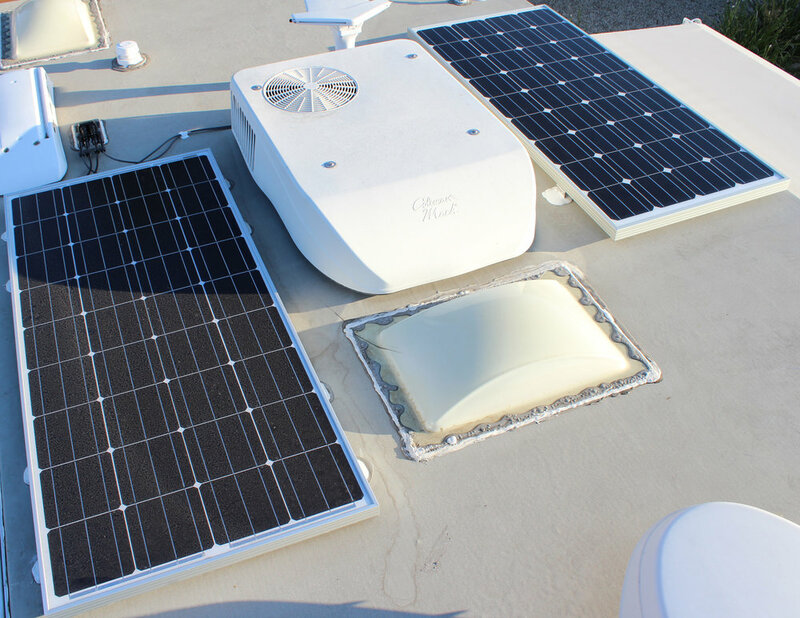 We installed a Go Power PWM Charge Controller, Tri-Metric battery monitor & shunt, 3x 160w Go Power Solar Panels & Roof Combiner Box on this Lance travel trailer. We sealed up all roof penetrations and panel mounting feet using Dicor self-leveling sealant. To complete this installation we replaced the OE batteries with 2x Lifeline GPL-4CT 6V 220ah AGM batteries.